Alligators are found only in the freshwater rivers, marshes, swamps and lakes of the United States and China. Alligators are not found in bodies of saltwater since they have no salt glands and cannot tolerate a saltwater habitat. 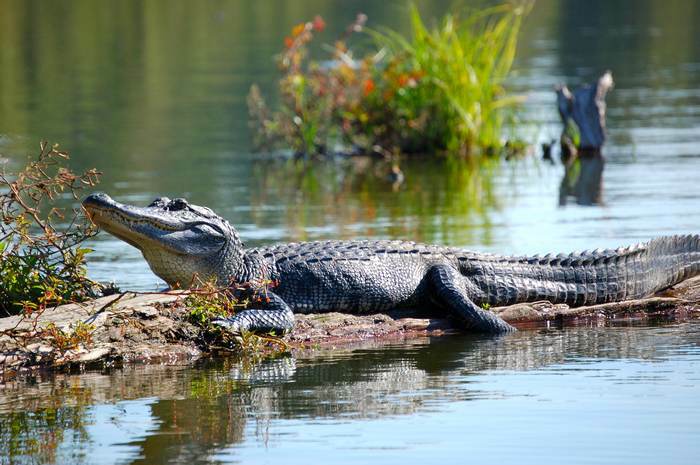 The American alligator resides in the southeastern part of the United States, with the majority of the alligator population concentrated in Florida and Louisiana. Alligators are an apex predator, meaning they have no natural enemies and are at the top of the food chain. They are extremely good swimmers and feed upon turtles, fish, snakes and small mammals that reside in the wetland habitat.